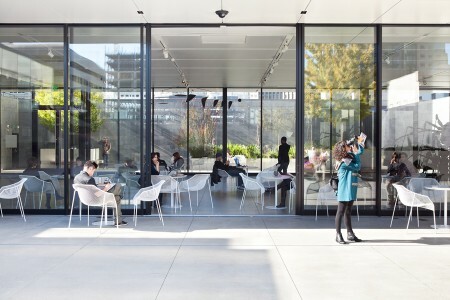 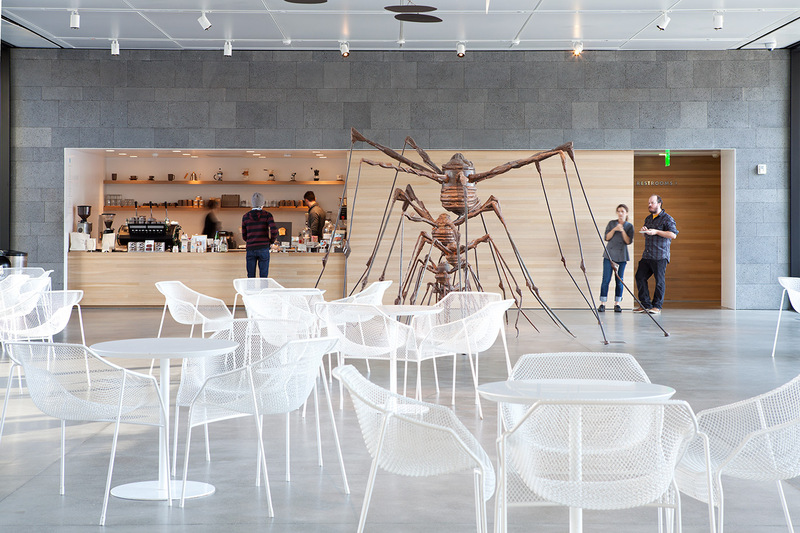 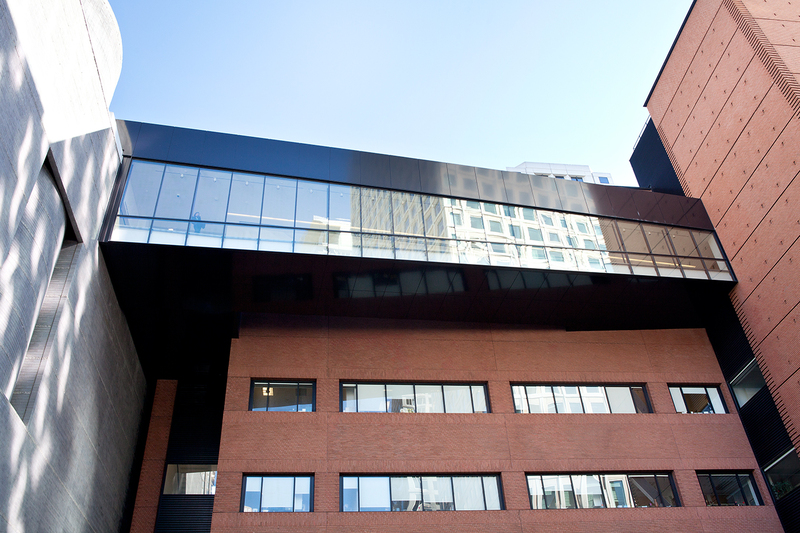 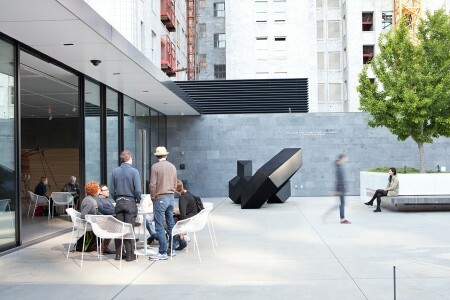 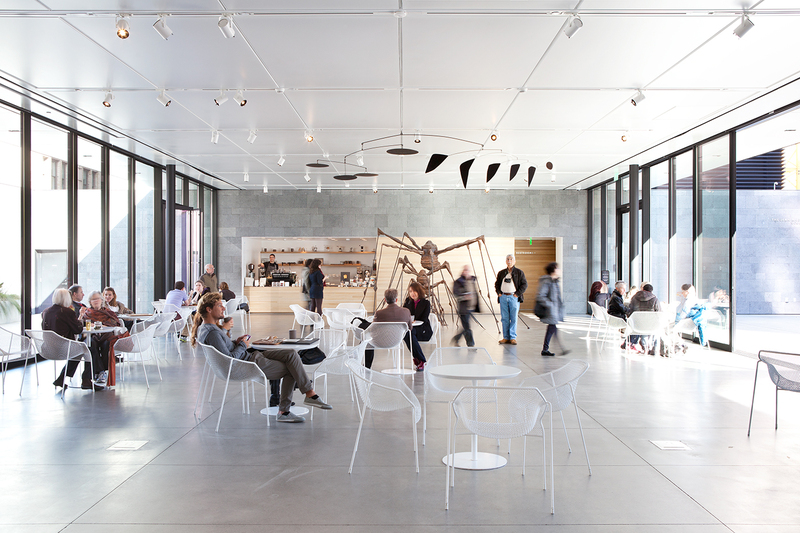 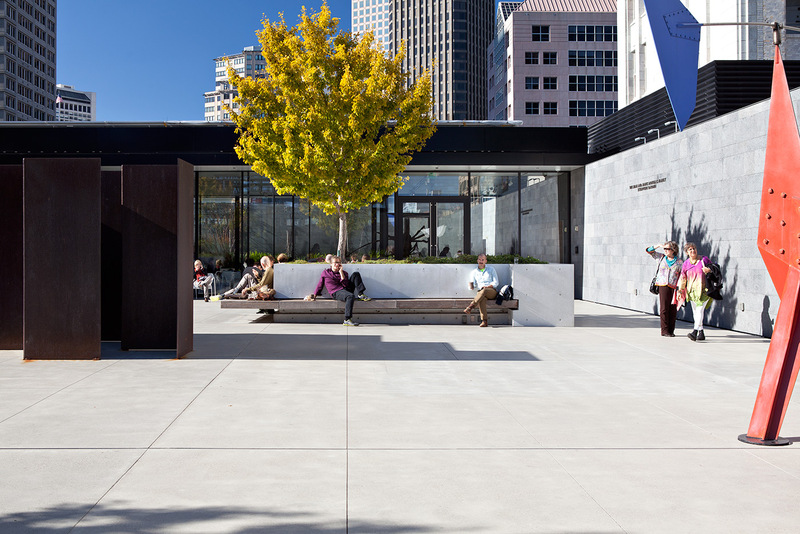 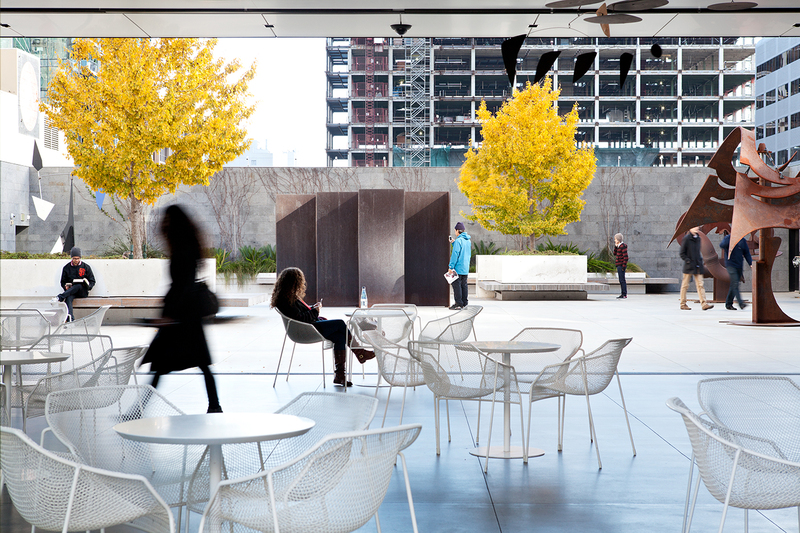 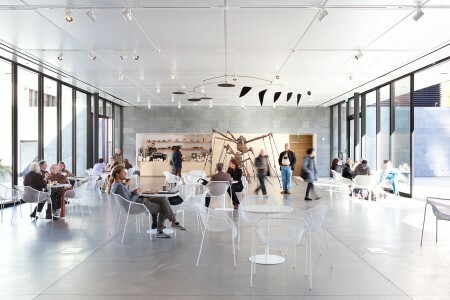 About/ The SFMOMA’s rooftop garden is an open-air gallery defined by the intersection of sculpture, space and light. The entire back wall of the museum’s top floor is removed, allowing a seamless connection from gallery to garden. 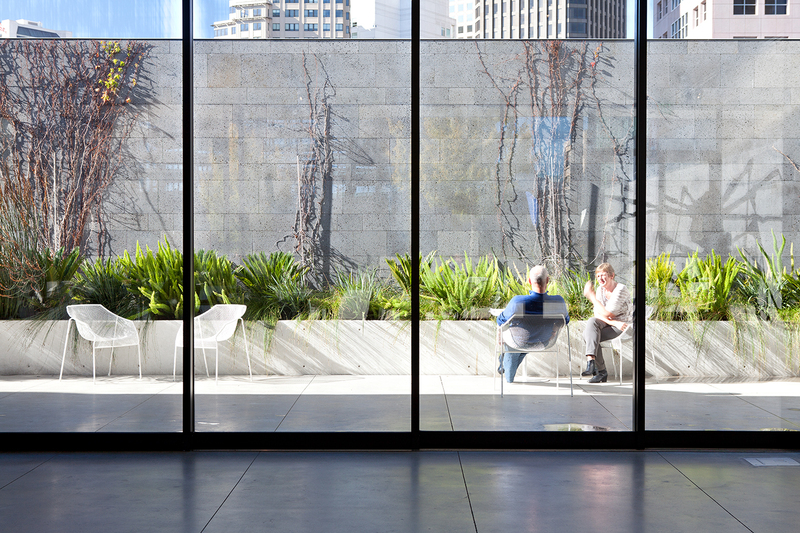 A large panoramic window at this new opening offers an elevated view to the garden, presenting it like a landscape painting inside the gallery. A glazed long-span bridge links the Museum to a garden pavilion that in turn opens out to the garden through large sliding glass panels. 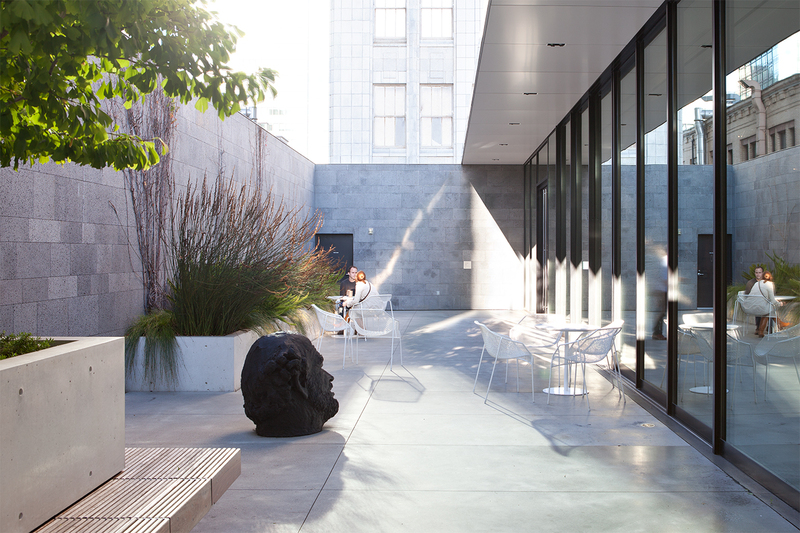 Surrounding the garden, lichen-covered lava-stone walls hide the city and frame the sky, providing an oasis for art in the midst of downtown San Francisco.